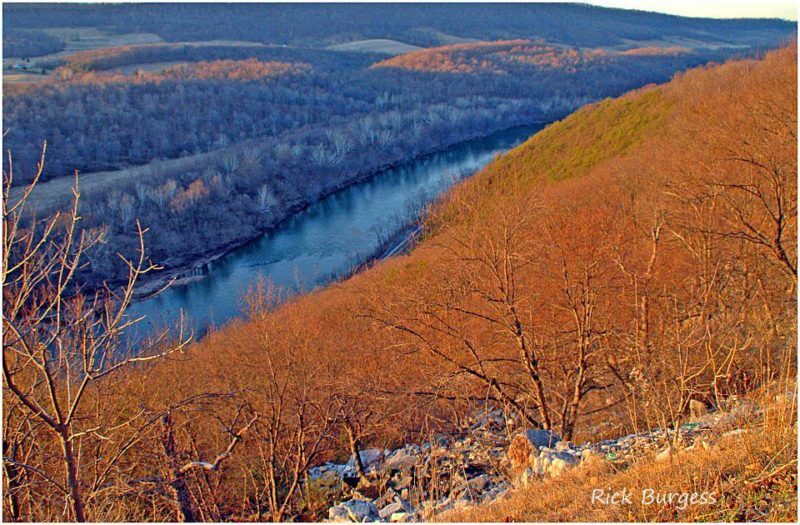 The Cacapon River, in winter, might seem the perfect setting for ghostly tales. Photo courtesy Rick Burgess. Cacapon Resort State Park will host West Virginia native and professional storyteller Adam Booth Aug. 11 for a family friendly evening of campfire ghost stories and tall tales. Booth has been professionally telling stories for more than 12 years, has performed across the country, and was featured in Wonderful West Virginia magazine’s May 2018 issue, which included a crash course on the art of Appalachian Storytelling. His storytelling days began years ago while he was attending nearby Shepherd University, working on a folklife project for an Appalachian culture class. He learned about the liar’s contest at the annual Vandalia Gathering in Charleston, West Virginia, on Memorial Day Weekend and came in third place. He returned in subsequent years and won four times and has served as the contest judge for three years. The event will be held at the campfire circle outside the Cacapon State Park Nature Center at 8:30 p.m. It is free and open to the public. To learn more about facilities, programs and activities at Cacapon Resort State Park, visit www.wvstateparks.com or call 304-258-1022.